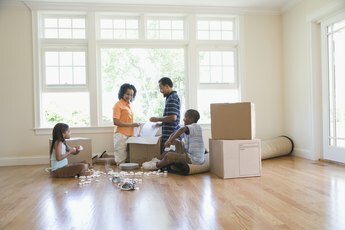 Renting an apartment together can work with a little planning. Doubling up to pay the rent can be a great way to save money and ensure that you have a little left over at the end of the month. However, it doesn't come without a few pitfalls and problems. Whether you're renting the apartment with a stranger or with someone you've been involved with for a while, some of the same potential conflicts can come up. Your first challenge is to decide which of you – if not both – is going to sign the lease with your landlord. Most leases include language stating that multiple tenants share "joint and several liability." This means that if one of you breaks the terms of the lease, your landlord can evict both of you. It also means that if one of you can't come up with her half of the rent, the other is legally responsible for paying the entire amount. Depending on your relationship with your roommate, this might be fine with you. But if you're moving in with someone you don't know well, you could find yourself liable for her actions or irresponsibility. Whether you sign the lease together or if only one of you is the leaseholder, you can protect yourself by creating a roommate agreement. This might be a little awkward if you're renting an apartment with someone you've been dating for years, but think of it as something like a prenuptial agreement. 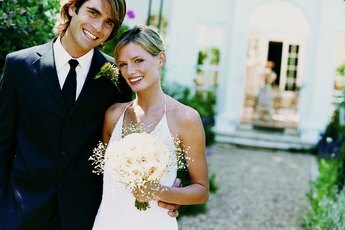 If you were getting married, you might want to establish how you're going to deal with things like finances and responsibilities going forward, and how you'll handle it if you break up. Renting an apartment together can involve similar issues, and you might want to iron them out upfront. Although state laws differ, such agreements might be legally enforceable in your jurisdiction, at least to the extent of the financial provisions. The basic tenet of a roommate relationship is that the parties contribute to the rent and utilities 50/50. If you create and sign a roommate agreement, however, you can tweak the arrangement to suit your personal situation. Contributions don't always have to be financial. 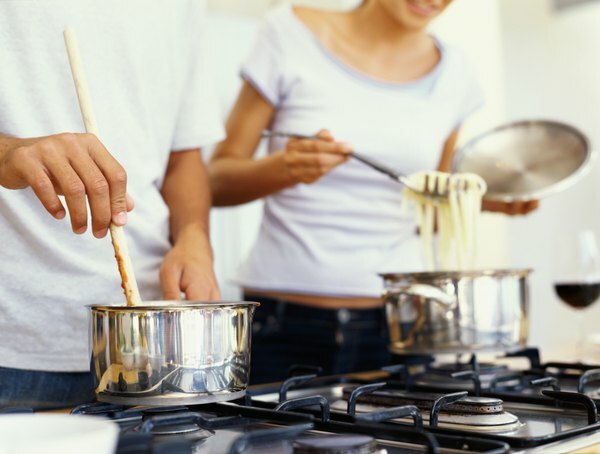 If one of you can't cook but the other enjoys it, you can work it out that the non-cooker pays for all the groceries and the cooker prepares the meals. If one of you is a neat freak while the other doesn't mind a few dustbunnies huddling in the corner, consider dividing the rent 60/40 in exchange for the tidy roommate taking over housekeeping duties. Likewise, if one of you can't live without 360 cable television channels and the other is a big reader, divide the cable bill accordingly (like, for instance, 80/20). Not even your best friend will want to pay a lot of extra money every month for channels she doesn't watch. Even if you're moving in with someone you're romantically involved with, lifestyle issues can create a problem. A roommate agreement probably won't address them, if only because you may not become aware of them until you actually start living together. This is where communication comes in, not to mention a little compromise. If one of you likes to party while the other prefers abundant quiet time, it won't bode well for your relationship if you can't find a middle ground. This is even more true if you rent an apartment with someone you barely know, which might be another good reason to put the lease in only one individual's name. If it doesn't work out, the roommate who isn't on the lease can move on without any legal liability, and the other can try again with someone else. 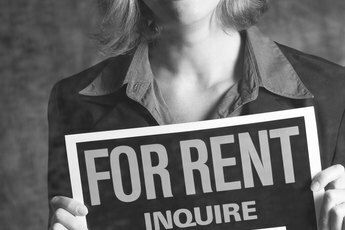 Can a Co-Owner of Real Property Rent Without the Others' Permission?